So over the years (especially the last few), I have learned a ton about personal finance, it’s something I am very passionate about and eager to help others with. Our goal in starting our blog was to share our journey into financial freedom and help others live life better. Personal finance can seem overwhelming and complicated but it’s really not. It’s actually simple enough that I was able to break it down into 10 sentences. Hope this helps, let me know in the comments section below. Join our savvy savage Facebook community! What is the most important personal finance rule you have learned? There is a reason this one is #1 on our list. Spending less than you earn might seem simple and obvious yet a vast majority of people are still living paycheck to paycheck struggling to make ends meet. If financial freedom is your goal essential you start tracking your spending with a budget and control your money. Doing this will significantly reduce your stress, help destroy your debt, and increase your retirement savings. All things that will help you enjoy life more and feel more confident financially. Super important and one of the first things you want to accomplish in your personal finance journey. Life has a way of slapping you in the face when you least expect it. Things like car & home repairs, lawsuit, death in the family, medical expense, loss of job, etc are going to happen. Creating a monetary buffer between these unforeseen life events is critical in keeping yourself from going further into debt. A good rule of thumb is to shoot for 3-6 months of expenses, $1,000 at a minimum. With anything in life, it’s important to start today and not tomorrow. 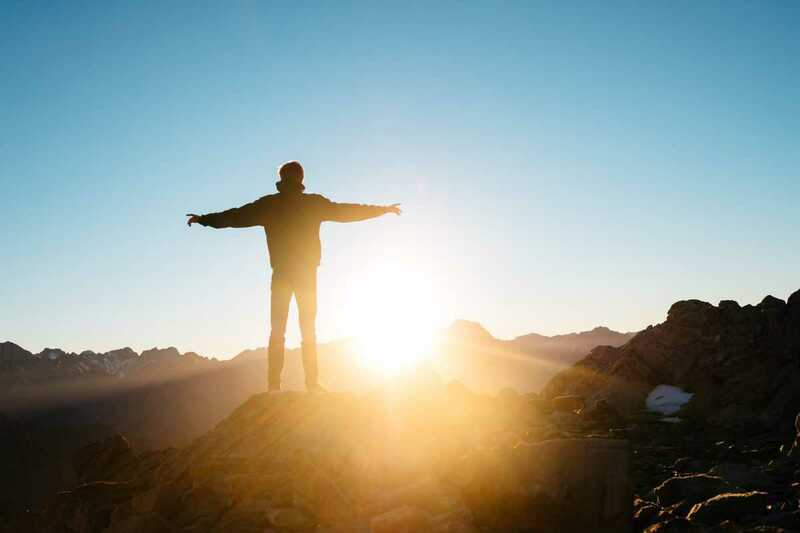 Each day you are alive is a blessing and you should start taking advantage of it. Whether you want to start an emergency fund, start paying off your debt, invest for your future, or plan a vacation there is no better time than the present. Like most people, I am sure you don’t want to be forced to work until you die. Start making the right financial moves today so you can enjoy a happy retirement. Time is your biggest asset when it comes to investing. Start early and contribute often. If you need further proof of the importance of time, take a look at the chart below from Business Insider. When it comes to personal finance, unfortunately, you are on your own. It’s important to educate yourself because far too often we are not taught enough about money from our parents or school systems. The next step after having the knowledge is actually taking action. Only you are in charge of your financial future. Take action and keep yourself accountable. We all know who the Joneses are right? Time for a reality check guys the Joneses are fake AF. Their huge house, new car, expensive outfit, and luxurious vacations are probably bought with credit card debt. It’s important to not get caught up in trying to keep up with the Jones, obviously, it’s much easier said than done. Focus on your own life, your own goals, and stop caring about what others have. Learn how to be happy with the things you already have because you are blessed. It’s pretty simple, the math does not lie. When attacking your debt pay off the highest interest rate debt first (avalanche method). Over time you will save hundreds if not thousands of dollars in interest using this method. If you are a Dave Ramsey fan you might not agree to this as he teaches the snowball method. In all honesty, it really does not matter which method you decide to use. Some people might find the snowball more effective than the avalanche and vise versa. Attack your debt with everything you have and always find the best return on your hard earned money. Have you ever thought about how you would handle the sudden loss of a job? Would your income be dried up instantly with nothing else coming in? Setting up multiple streams of income has many positive benefits such as paying off debt quickly, flexibility to move to a different job, travel more, early retirement, etc. Think about how long it takes to fill a pool with a single hose. Now add a couple more hoses to the mix and the time it takes is cut down significantly. The same thing goes with achieving your financial goals when you create multiple sources of income. 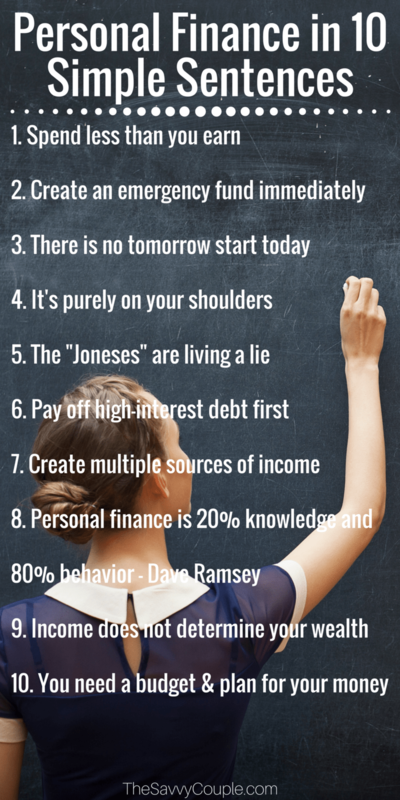 A great personal finance quote from Dave Ramsey himself. Financial freedom is impossible to achieve without the combination of both knowledge and behavior. When both of these elements work hand in hand it’s a beautiful thing to watch! Whether you have a salary of $40,000, $75,000 or $100,000+ it’s more about what you do with your money than how much you make. We know plenty of people who make a great salary but spend all their money on the luxurious things in life (cars, vacations, watches, clothing, etc) which forces them to still struggle and live paycheck to paycheck. Of course, a higher salary can help achieve financial goals faster. 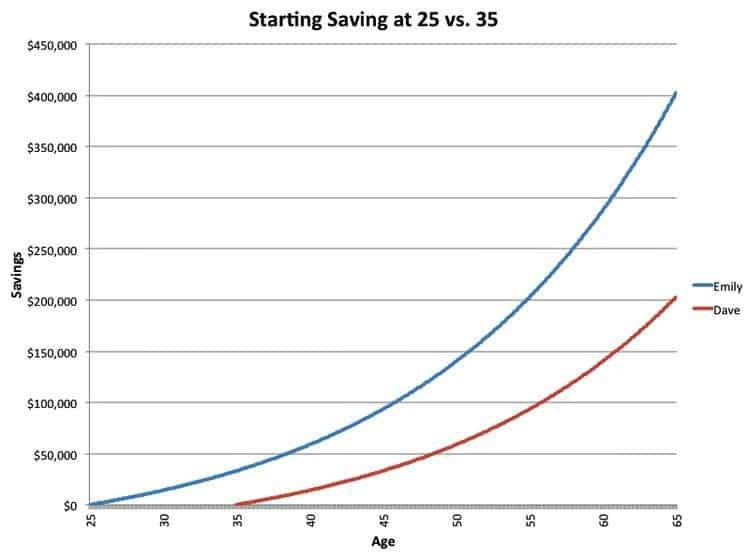 But ultimately the amount you save and invest is the real determinating factor in your wealth. Don’t forget about happiness as well. Money does not bring you happiness it’s just a tool to allow you more time to do things you enjoy in life. If you have been one of our savvy readers for a while you know how much we enjoy budgeting. We truly believe that without a budget achieving financial freedom is much more difficult. A budget is a tool used to control your money and allow you to do more things you love in life. If you like to travel like we do then travel. A budget does not prevent you from splurging on things you prioritize. Remove as much spontaneous and compulsive spending in your life that you can. One of the best-performing articles we have written on our site is 13 Frugal Living Habits That Will Help You Save Money. The reason this article has done so well is that we show you real-life examples of how to live more frugally. One of the quickest ways to change your financial future is cut your monthly expenses back as much as possible. This will free up money to pay off debt, invest, purchase a new car, or even travel more. It’s important to understand your spending habits are controllable. Your happiness is completely in your hands! These are the “pilars” of common sense regarding personal finance. They are so simple and utilizing just two are three will drastically improve your finances. You quote David Ramsey, I agree with many of his teachings, and then go againts one of his steps. In my opinion best way to go. Take what works for you and disregard what does not. Absolutely! Find what works and stick to it to meet your goals. Thanks for the post. Love all these tips and am using them in my life. Wonderful job! You have explained personal finance in few sentences so nicely. Cool infographic, really informational. Thanks! And yes, budgeting and creating multiple sources of income are the best ones I like and would love to implement. Thanks for stopping by Harry! Glad you enjoyed our article. Thanks Bennie. Glad you enjoyed it! Hello there! Do you usse Twitter? I’d like to follow you iif that would be okay. I’m undoubtedly enjoying your blog and look forwartd too new posts. I have found so many people get caught up on #9. I think in most budgets, we could find areas to cut spending.. It just takes some creativity, and a willingness to make sacrifices to build wealth. We just have to change our thinking.